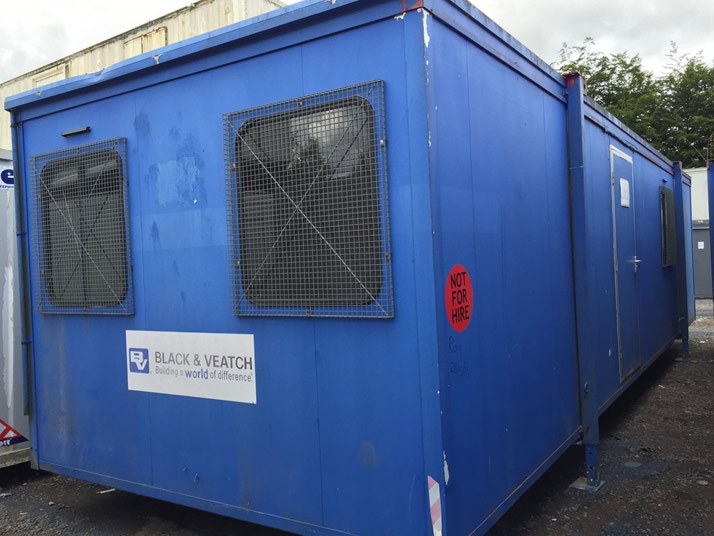 USED PORTABLE AND MODULAR TOILETS, SHOWER BLOCKS, CHANGING ROOMS FOR SALE OR HIRE!! 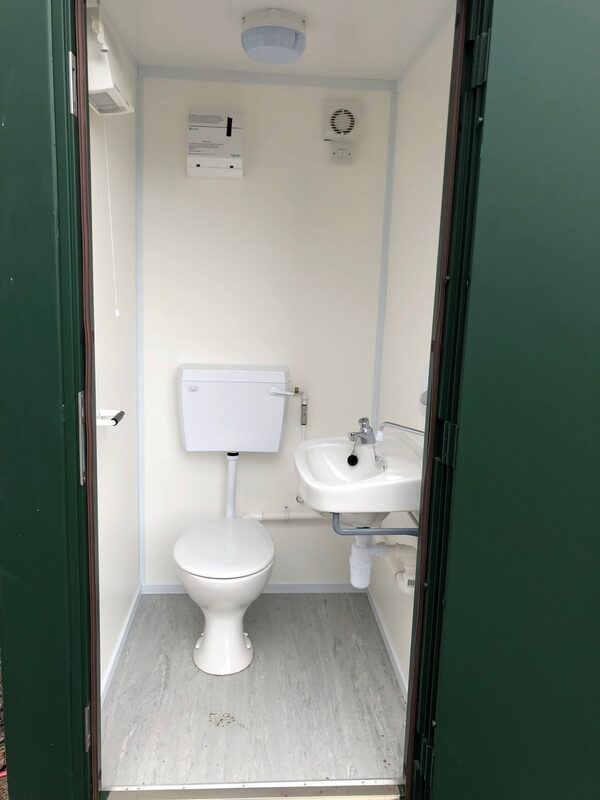 We supply second hand portable toilet blocks and shower facilities from single plastic site toilets, up to 6 berth toilet and portable shower units. 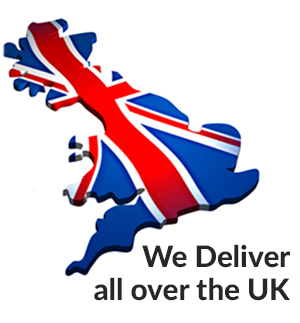 We offer all of our toilet and shower products for sale or to hire. We can also modify any cabin to suit your needs, all units available at very competitive rates. 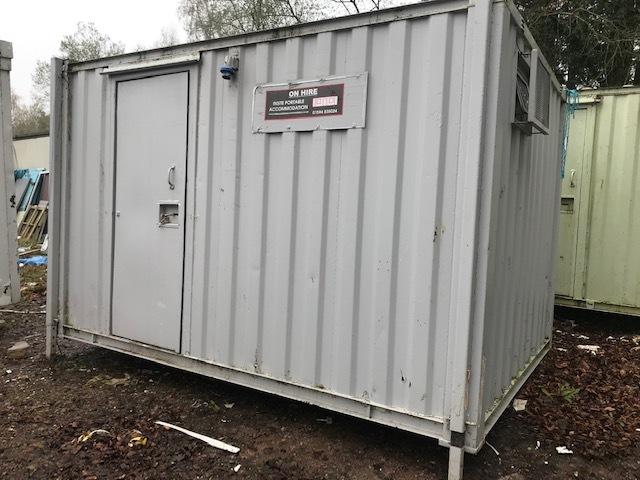 12ft x 9ft anti vandal 2 + 1 toilet block. male side complete with 2 Wcs, 2 urinals, hand wash basins and water heaters. Female side complete with 1 Wc, Hand wash basin and water heater. Heatin,lighting and rcd protected consumer unit. 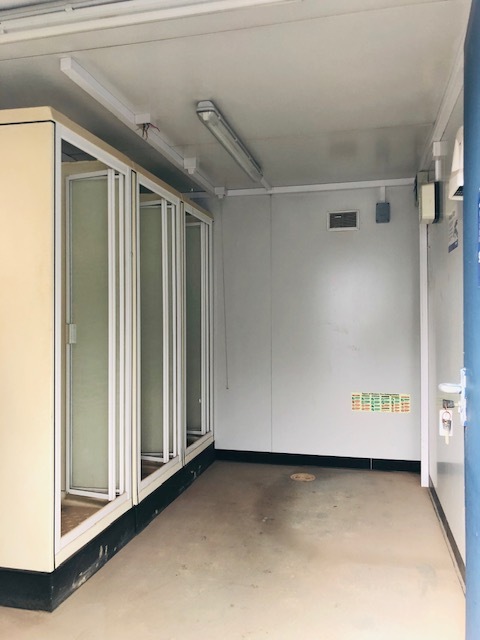 12ft x 8ft 3 bay jackleg shower block complete with 3 single electric showers with cubicles and changing area. heating, lighting and rcd protected consumer unit. 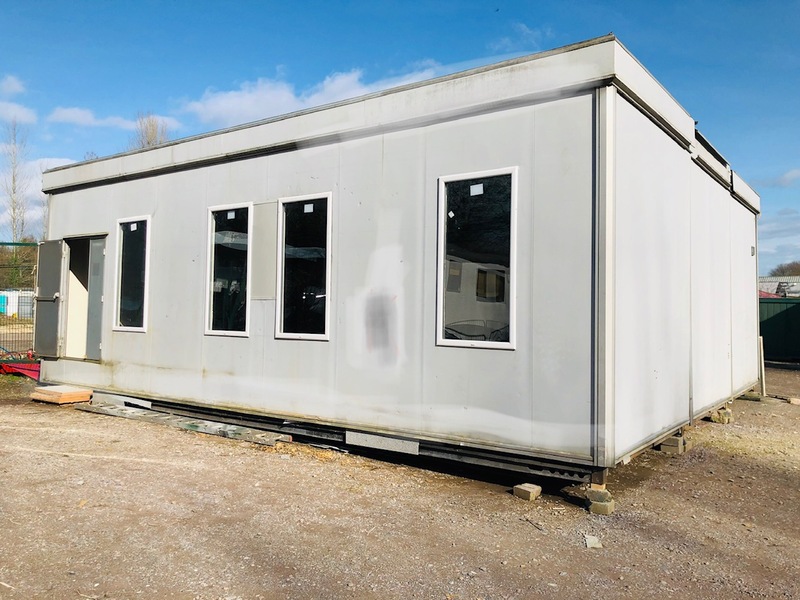 3 bay open plan 32ft x 30ft (9.7m x 9m) modular building. Complete with vinyl faced plasterboard interior, heating ,lighting, power points and Rcd protected consumer units. Building type is from a well known industry expert. 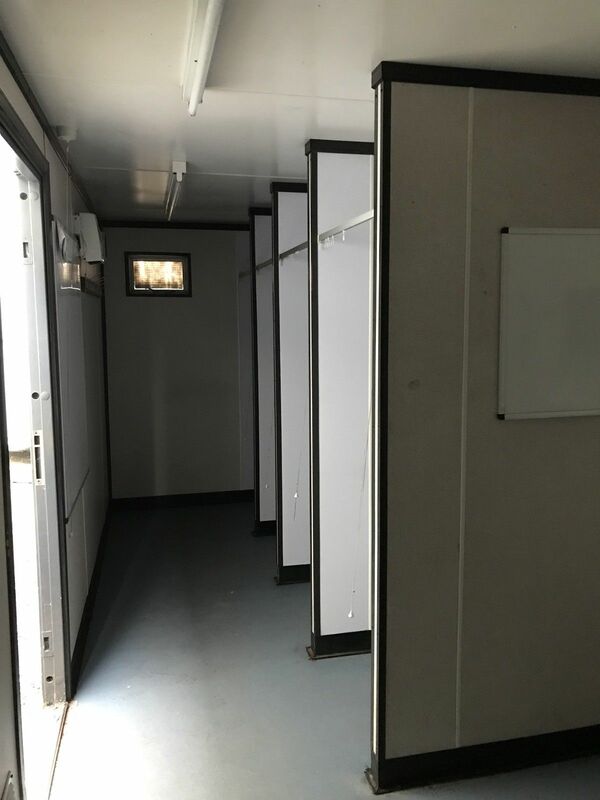 24×9 welfare unit, comes complete with 2 x toilets, 1x urinal, hand wash basins for gents and for the ladies 1x toilet, hand wash basin, hot and cold water, office / canteen area, sink basin, work top, power points, heating, lighting. 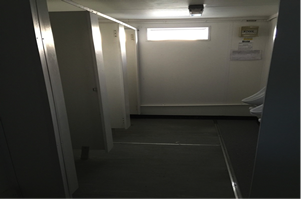 24ft x 8ft 6 bay toilet block complete with 6 WC, 6 urinals, hand wash basins. lighting, heating and rcd protected consumer unit. very rare toilet unit. 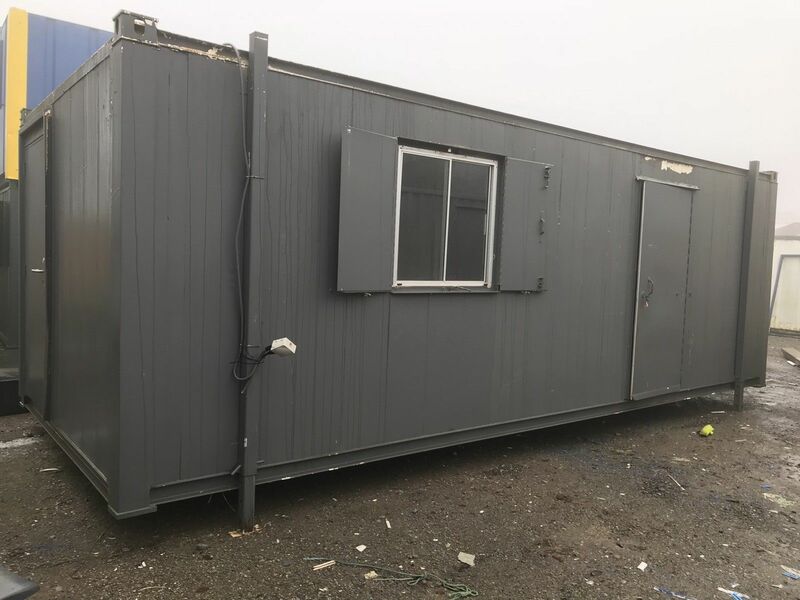 24ft x 10ft sleeper/shower/toilet office unit. Complete with electric shower, shower tray, 1 Wc, hand wash basin, water heater in bathroom area. 2 open plan rooms that can be used as bedrooms or offices. very rare unit. double gazed windows, personnel door. 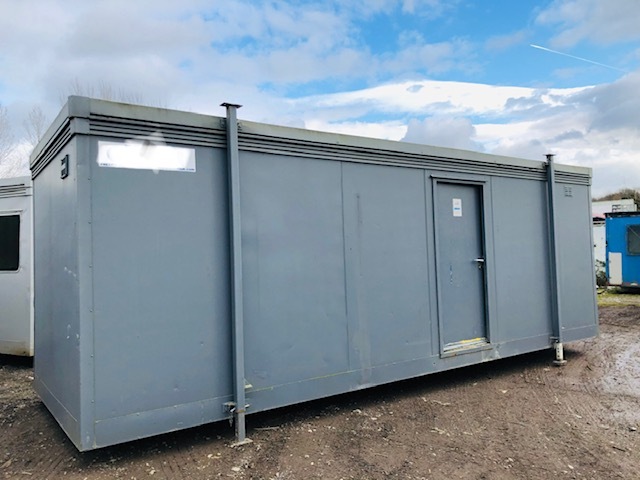 16ft x 8ft 3 + 1 toilet block. male side complete with 3 Wcs, 2 urinals, hand wash basins and water heaters. Female side complete with 1 Wc, Hand wash basin and water heater. Heating,lighting and rcd protected consumer unit. 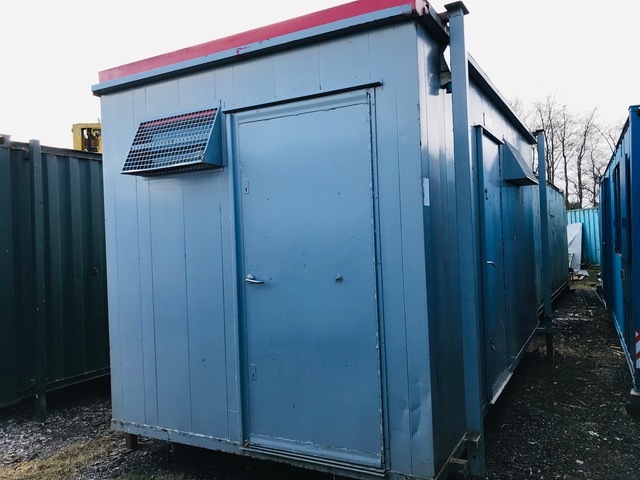 Used 21ft x 8ft shower block complete with 4 electric showers,changing cubicles, hand wash basins,water heater, heating, lighting, Rcd protected consumer unit. 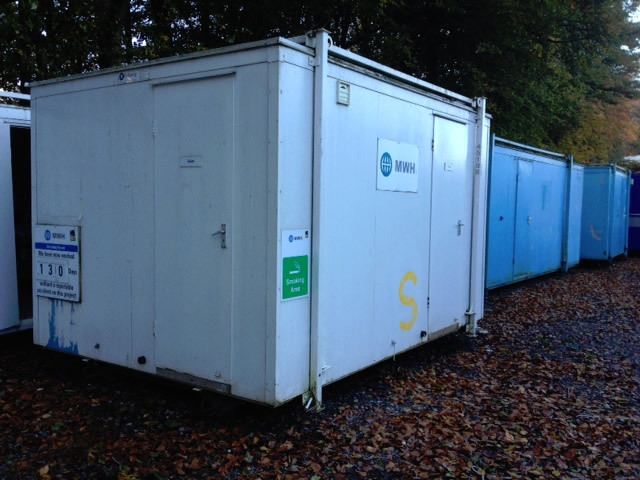 Used 21ft x 9ft disabled/ladies and gents toilet block. 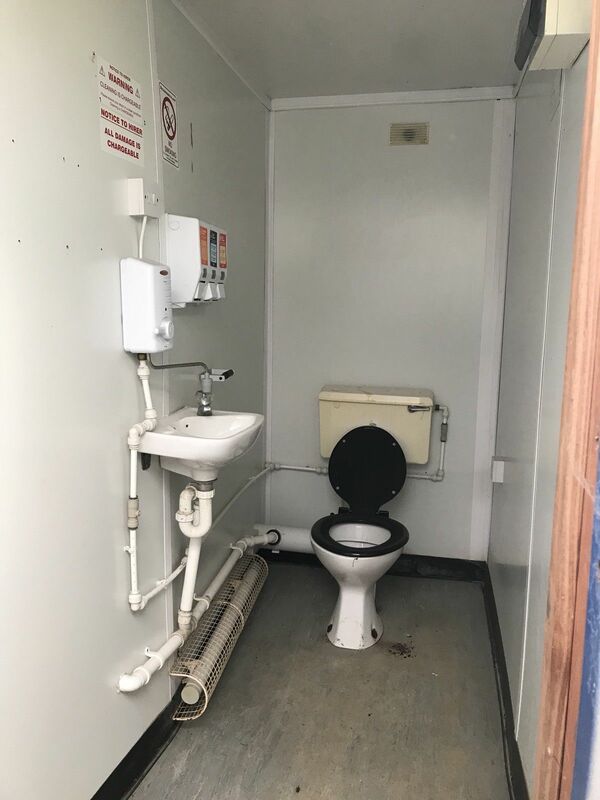 Male side complete with 3’Wcs, 2 urinals, hand wash basin,water heater.disabled/ladies side complete with 1wc,hand wash basin, water heater, heating, lighting, Rcd protected consumer unit. 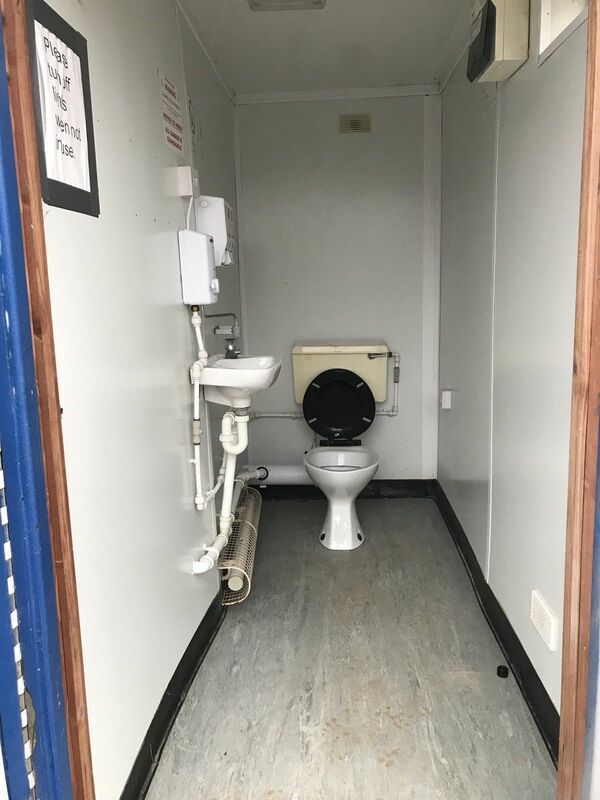 Brand new anti vandal single toilet unit complete with multi point steel personnel door, New welded vinyl flooring, 1 WC, hand wash basin and water heater. Extractor fan, down flow heater, lighting, Rcd protected consumer unit. 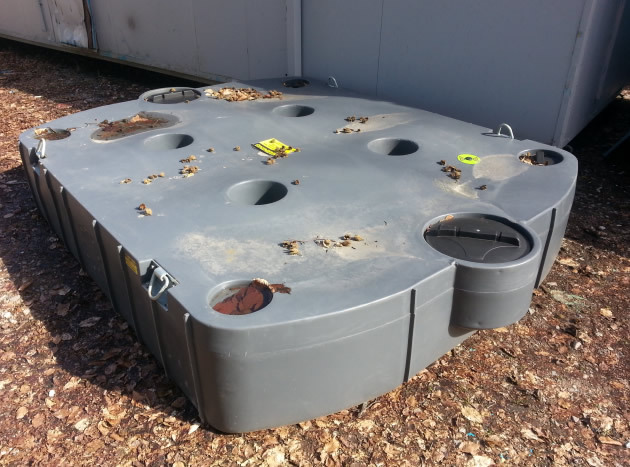 Plastic septic tank. 500 gallon capacity. Perfect for toilet/shower unit waste. 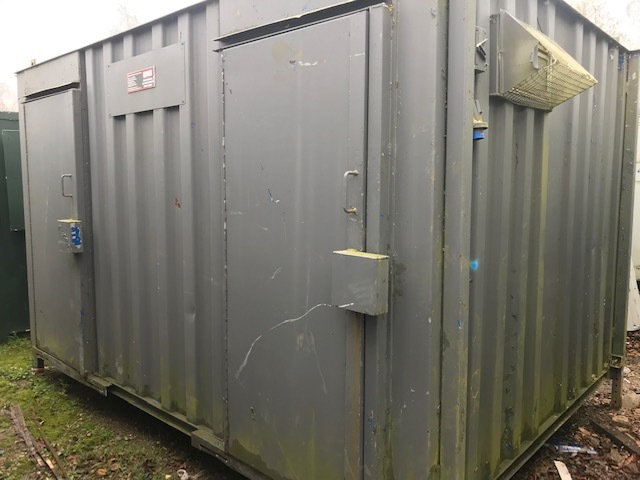 16 x 10 3 + 1 anti vandal toilet block. male side complete with 3 Wcs, 3 urinals, 3 hand wash basins and water heaters. Female side complete with 1 Wc, hand wash basin and water heater. Heating,lighting and rcd protected consumer unit. 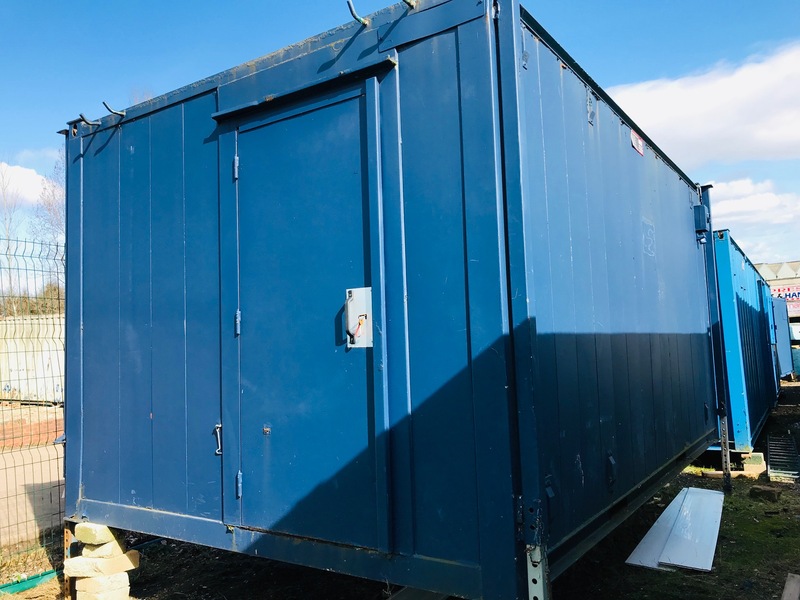 34ft x 10ft Jackleg portable ladies/gents shower toilet and canteen unit complete with 1wc, hand wash basin,water heater for ladies and for gents 2 urinals, 2 hand wash basins, hot and cold water water, shower, heating, power points,lighting and steel personnel door. 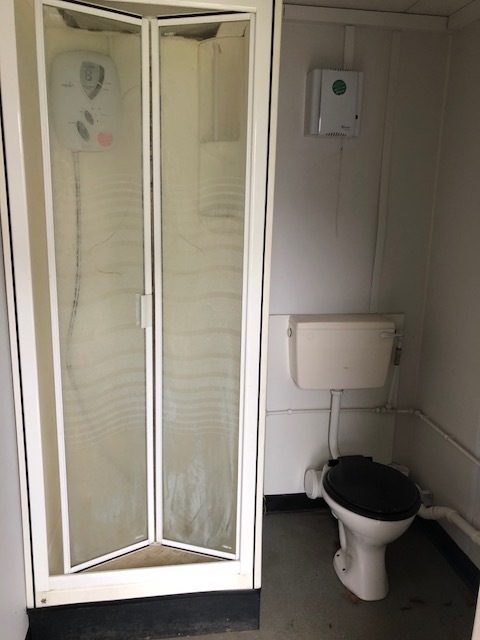 Used 13ft x 9ft anti vandal 2 + 1 ladies and gents toilet. 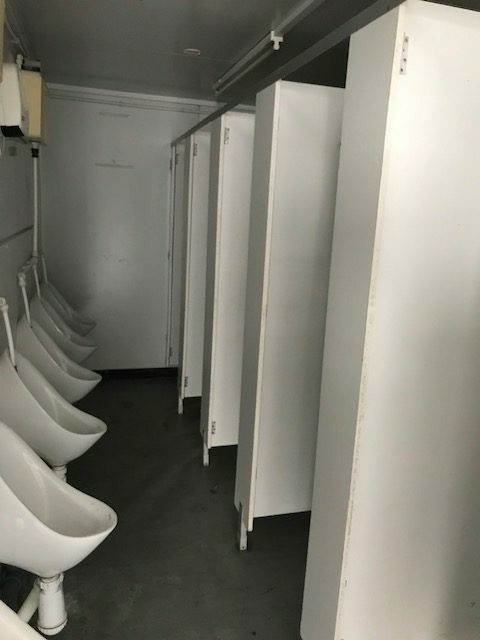 complete with 2wcs, 2 hand wash basins and 2 urinals for gents. single wc and hand wash basin for ladies. hot water heaters, origiinal vinyl flooring, 2 personnel doors, heating, lighting and rcd protected consumer unit.